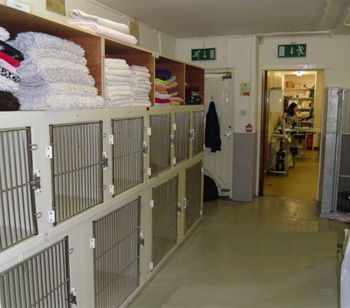 Gortlands Veterinary Practice has established itself amongst the local community and provides care to thousands of pets every year. We know as well as anyone that you consider your pet to be one of the family. That is why the Gortlands team work hard to provide the very best veterinary care services - this is reinforced by our mission statement and company values. Gortlands Veterinary Clinic (GVC) provides a full range of high quality, safe and value for money preventative, diagnostic, medical and surgical services for small animals in a modern, fit for purpose premises, delivered by staff who are committed to meeting and where possible exceeding the expectations of all our customers who entrust their pets to us. We fundamentally believe that ‘We are here for what our patients and customers need’, and our continuing success is fully dependent on how well we identify and satisfy our customers’ needs in ways and at times which suit them. We believe that all customers have a choice as to where they seek Veterinary care for their pets and we will work hard to ensure Gortlands is their preferred provider of Veterinary care every time. Put the patient and customer first – We are always conscious and appreciative of the trust you place in us to look after your pets. Everything we do is dedicated to the satisfaction of present and future patients and customers. We treat everyone with respect and dignity, and we value different backgrounds, cultures and viewpoints. We equally respect your right to privacy & confidentiality. We are honest, consistent and professional in every facet of our behaviour. We communicate openly and directly and our word is our bond. We rely on team working at all levels of our operation. The contribution that each team member makes is vital and valued and we believe we only succeed with and through our staff operating as one team with a shared passion for providing high quality Veterinary care. We believe that good is not good enough. We are committed to excellence in all we do and are equally committed to becoming the best we can be and to providing the best service and care we can provide. We believe it is what all our patients and customers deserve.